Japanese greatest artist in history Katsushika Hokusai (1760-1849) excelled in all ukiyo-e genres. He produced his most iconic designs in the landscape (The Great Wave) and the shunga (The Dream of the Fisherman’s Wife) genre. An excessively scarce egoyomi-e (calendar print) were already rare when they were issued in limited private editions for rich merchants and collectors at that time. 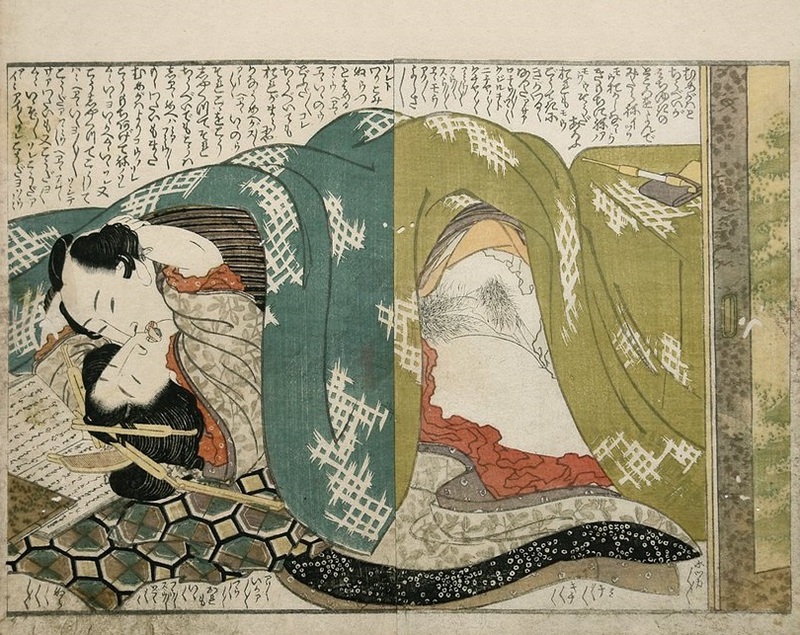 The printing is exceptionally subtle, as is the use of pigments and techniques they are similar to surimono. 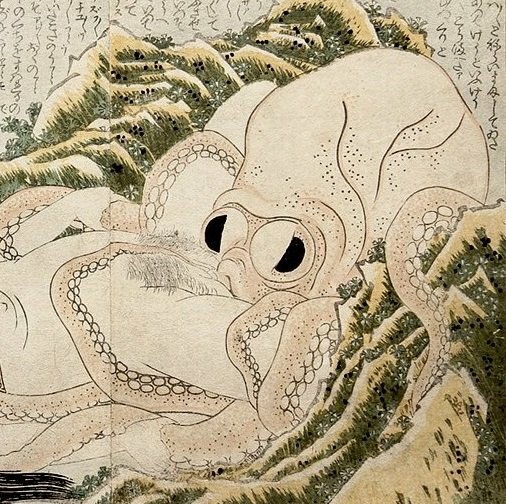 The design is in the preferred Hokusai pose with the male penetrating his wife from behind. An amusing scene from Hokusai’s lesser known Overlapping Skirts series featuring a middle-aged horny client overpowering a geisha. Another piece from the Overlapping Skirts series portraying a rich merchant wearing a pink kimono and sporting a striking hairdo making love to a courtesan. His luxurious kimono is hanging over a screen that features a landscape. Click here for the price! Click HERE for more articles on Hokusai…!!! Click HERE for more original Hokusai prints for sale that are available in our gallery…!! !